More than 2 million Muslims on Tuesday started the first rites of the annual hajj in Saudi Arabia, one of the world's largest pilgrimages that draws people from different countries to the holy city of Mecca to perform a series of rituals and prayers aimed at erasing past sins. 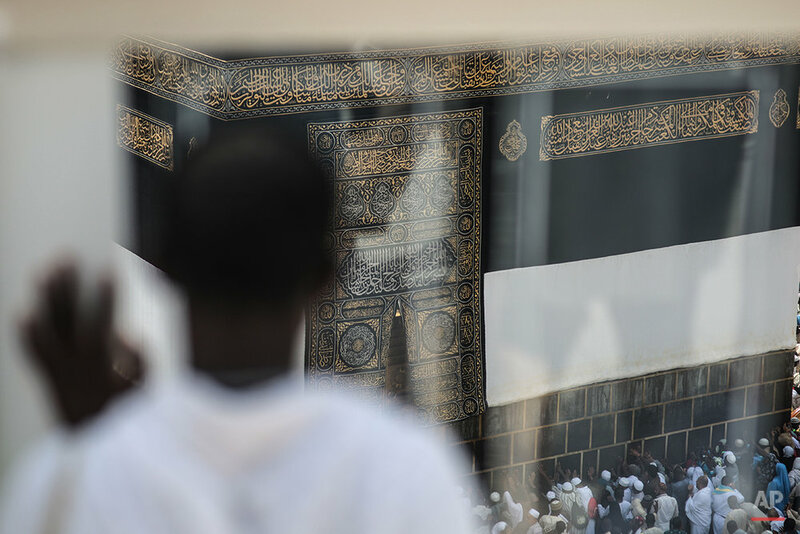 Newly-arrived pilgrims circled the Kaaba, the black cube-shaped structure in Mecca's Grand Mosque toward which all Muslims pray. In a sign of humility and equality before God, the pilgrims shed symbols of worldly materialism, entering a state known as "ihram" — women forgo makeup and perfume for loose fitted clothing and a head-covering while men wear seamless terry cloth white garments. Muslims believe the hajj traces the paths of the Prophets Abraham, Ishmael and Muhammad. 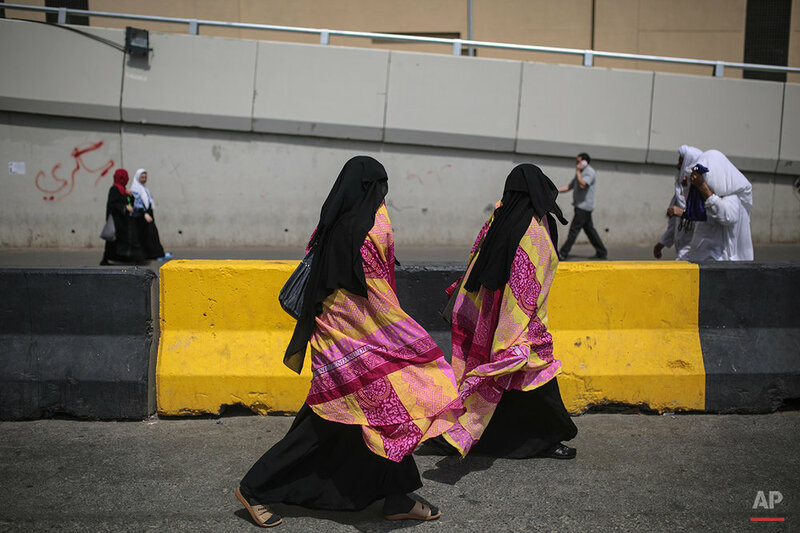 Pilgrims start the hajj in Mecca, before heading to the nearby tent city of Mina, five kilometers (three miles) away. In Mecca, they circle the Kaaba counterclockwise seven times, and also re-enact the path of Hagar, the wife of the patriarch Abraham, who Muslims believe ran between two hills searching for water for her dying young son. Tradition holds that God then brought forth a spring of water that runs until this day and which Muslims drink from during the hajj. Since arriving to Mecca over the past several weeks, hundreds of thousands have chanted, "Labayk Allahuma Labayk," or "Here I am, God, answering your call. Here I am." Many prayed for their deceased kin. Sadi Zawya, who lost his wife earlier year and is now raising his five children on his own was among the sea of people. Arriving from Egypt, 62-year-old Hoda Darahim said her 35 year-old daughter died this year, and that she is now raising her two grandchildren, relying on financial help from her older sons and the small government pension she receives. "Her dream was to perform the hajj," Darahim said of her daughter. "So I am fulfilling her wish." Moussa bin Abdullah Butu, a 38-year-old artist from Nigeria, said this will be his third hajj but an especially challenging one since he lost his two-year old son, Abdullah, to a long illness earlier this year. 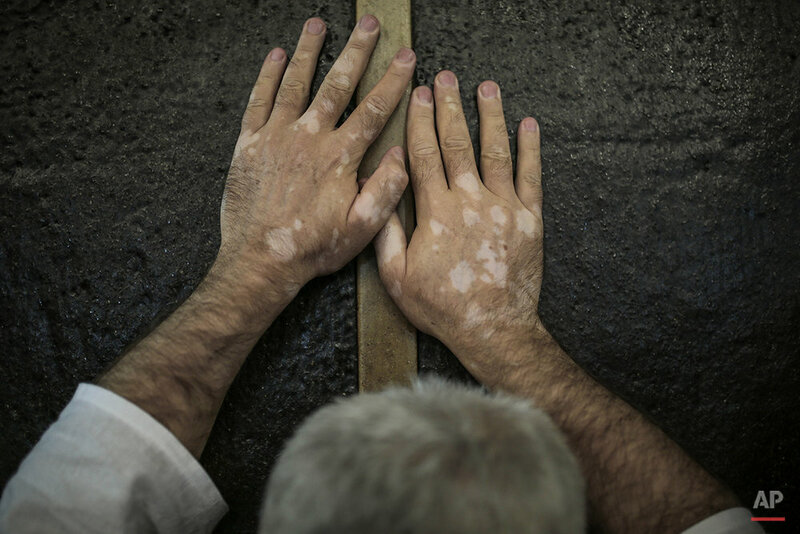 "In the white ihram, the rich man and the poor, we are all together," he said. 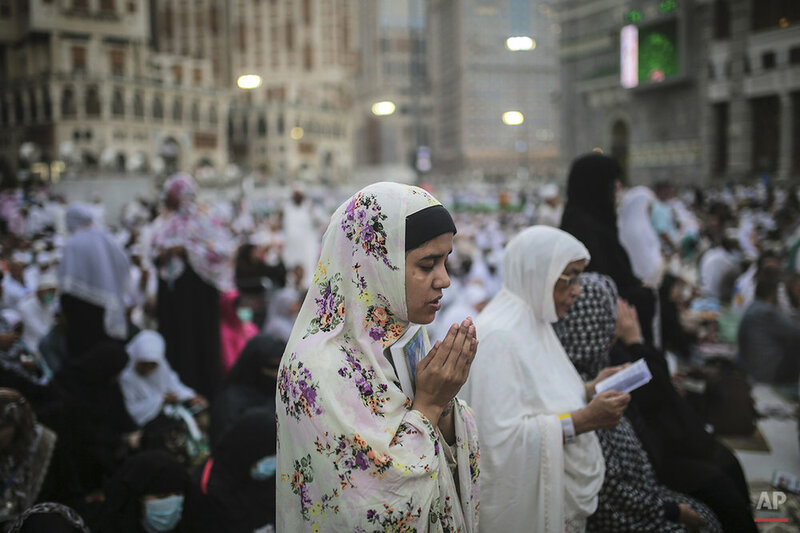 The hajj requires physical perseverance, finances and a coveted hajj visa, which is limited to country-by-country quotas to manage crowd safety. Butu said he was very grateful for his visa and the opportunity to once again perform the hajj. "I know that I am one of the people that Allah chose ... I am one of the people Allah called this year," Butu said. The main day of hajj this year falls on Wednesday, when between 2 to 3 million pilgrims gather in a valley called Arafat, packed shoulder to shoulder in prayer and supplication. It is at Arafat where the Prophet Muhammad delivered his final sermon some 1,400 years ago, calling for equality and unity among Muslims. Text from the AP news story, More Than 2 Million Muslims in Saudi Arabia Start Hajj Pilgrimage, By Aya Batrwary.